Maybe you'd like a brighter smile or straighter teeth. Maybe you want to freshen your look or maybe you have an unexpected broken tooth. But if your insurance doesn't cover all the costs for the procedure you want and need, where do you turn? At Drs. 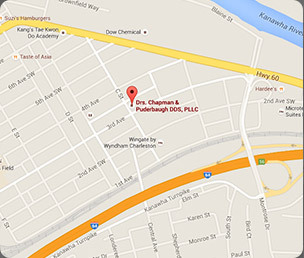 Chapman & Puderbaugh we offer convenient payment options so you can get the procedure you want, when you want. An application may be filled out online, in the office, or over the phone. Prior to making a decision, check with our office and see if a financing option may be tailored to your specific need. The link below is here for your convenience.